The jacket of the season has to be the grey (preferably checked or Prince of Wales to be exact) blazer. If you can’t get your hands on one, here’s a few I found. 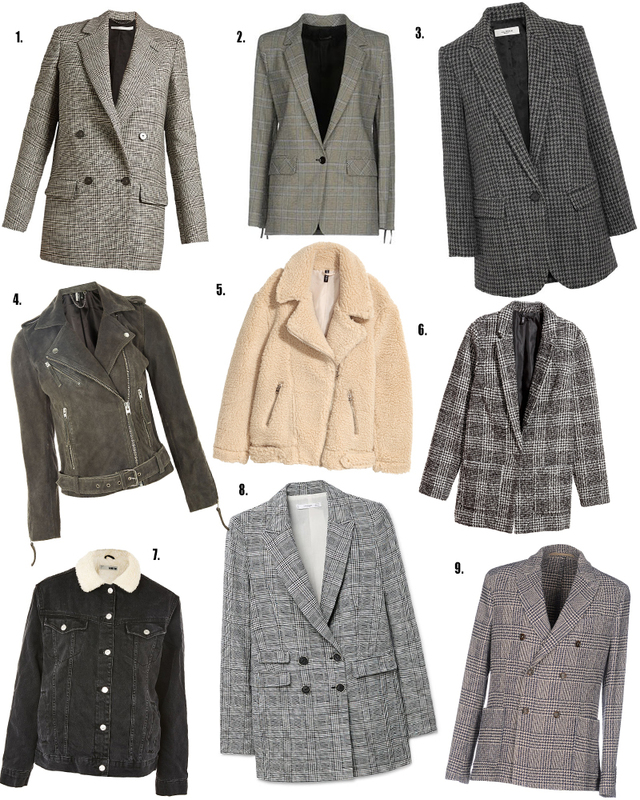 Yes I threw in a couple of other jacket styles too in case you’re not the blazer type. You are welcome! Topshop grey suede biker jacket. Also comes in cobalt blue.